If you’ve had it with shaving your legs every few days or experiencing the discomfort of waxing every few weeks, consider laser hair removal. The skin care and aesthetic experts at the Profound MedSpa in Trooper, Pennsylvania, use the Icon™ laser system to permanently reduce unwanted body and facial hair quickly and effectively. Call for an appointment today or schedule your visit online. How does the Icon™ laser remove hair? Your provider uses a specially designed handpiece that provides laser energy to target and destroys the cells in your hair follicles that are responsible for hair growth, without harming the surrounding skin. It’s a fast and easy approach to permanent hair reduction that’s FDA-cleared. Another benefit is that the Icon laser hair removal system works for almost everyone, including all skin colors and most hair types. Will I need more than one laser hair removal session? Yes, because your hair grows in phases. Some follicles are in the resting or transition phase while others are in the active growth phase. Because the laser energy is only attracted to hair follicles in the growth phase, it’s impossible to target all your hair in one visit. Most clients see the best results with several treatments that are spaced a few weeks apart. 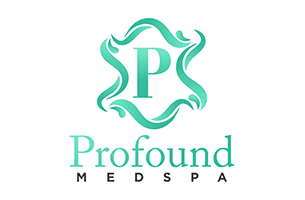 Your Profound MedSpa provider will work with you to tailor a treatment plan that meets your needs and expectations. The Icon laser works fast. Smaller areas like the upper lip may take only a couple of minutes to treat. Larger areas like the back can take about 20 minutes. Most patients report a mild snapping sensation as the laser cycles through the treatment. You may also have the sensation of a mild sunburn and experience slight inflammation in the treatment area after the procedure. Both generally fade quickly. You’re free to return to normal activities once you leave the office. However, the inflammation that sometimes accompanies laser hair removal can make your skin more sensitive to the sun. You should exercise the usual sun precautions by avoiding prolonged exposure and using sunscreen. Your provider will discuss all these details with you before scheduling a session. Make an appointment at the Profound MedSpa today for an evaluation and to discuss laser hair removal. Call to book your visit or use the convenient online scheduling service.